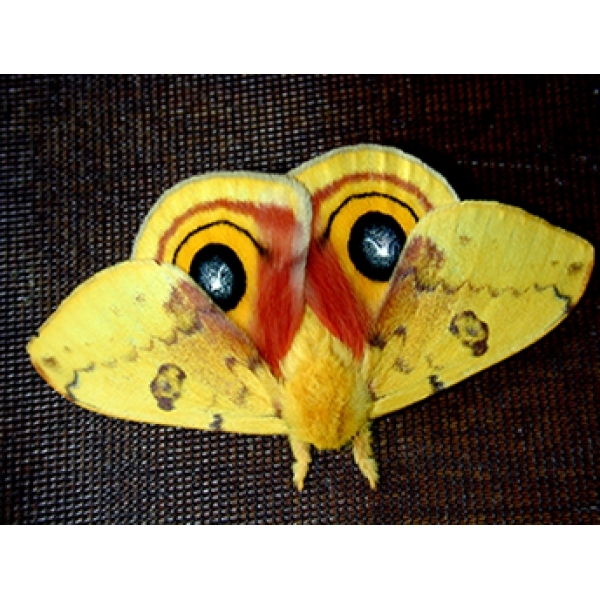 This small silkmoth has a number of interesting characteristics. 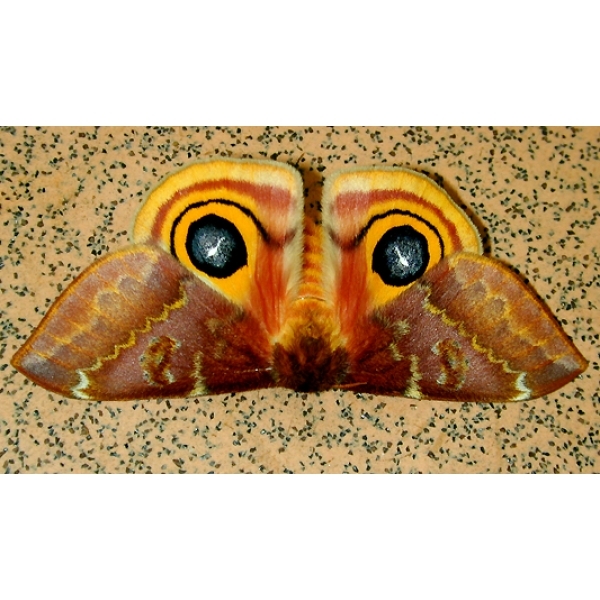 The male and female are distinctly different colours – both have the enormous eye markings on the hindwings which are exposed when the moth is disturbed. 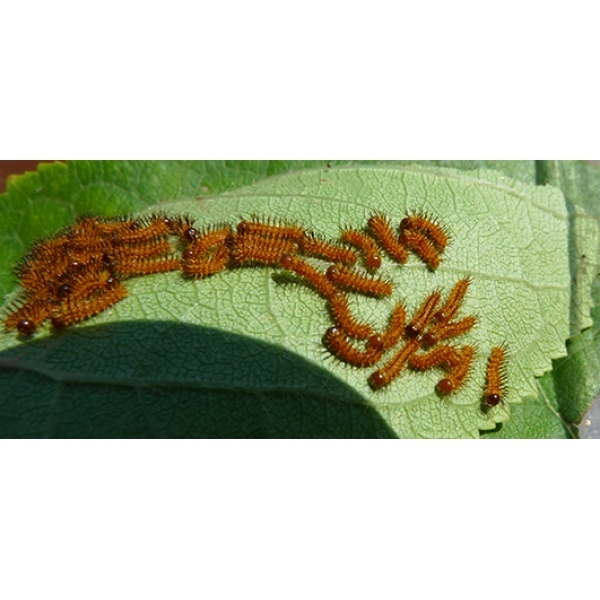 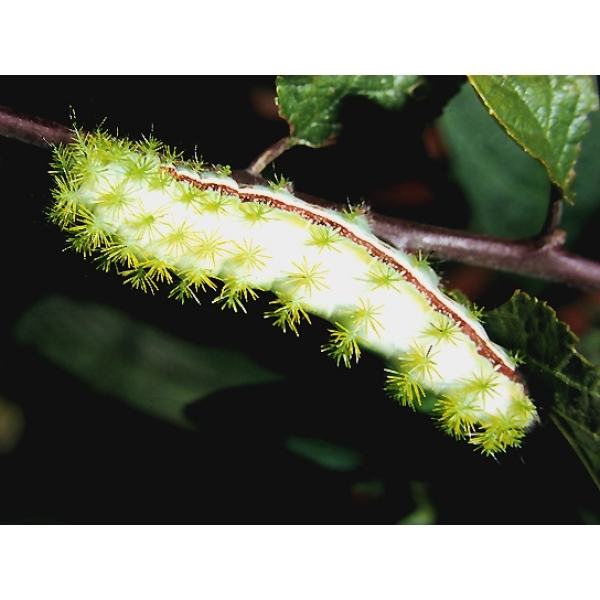 The larvae are covered by branched spines – don’t touch them – they sting like a nettle. 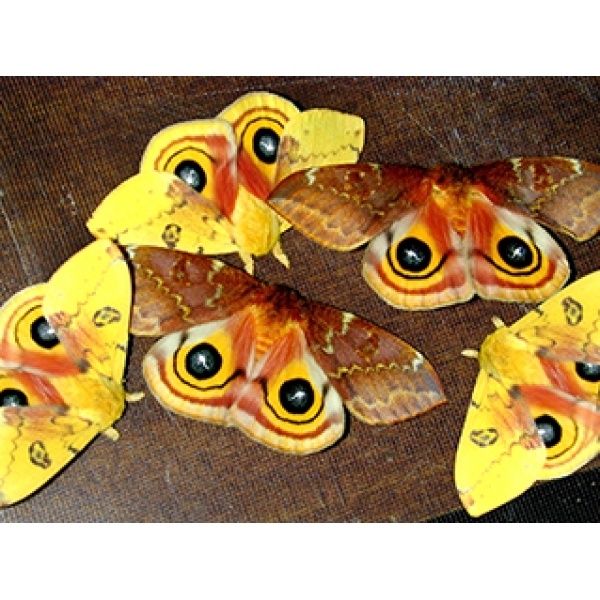 They are gregarious until the larvae are quite large, changing colour at each skin change. 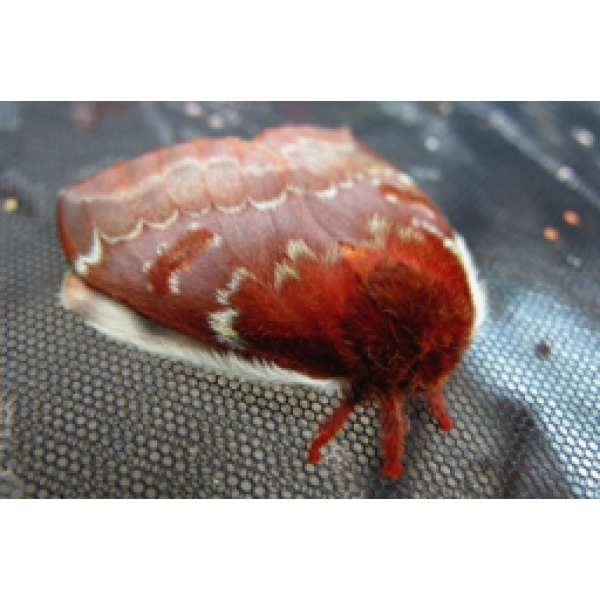 Very interesting and easy to rear. 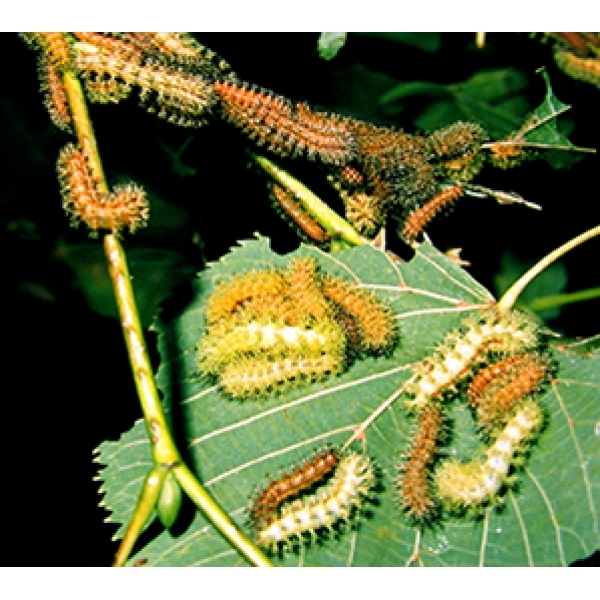 Foodplants are very varied and include such trees as Oak, Lime, Willow, Hazel, Bramble, Apple, Hawthorn and more.